Fast. Reasonable. Professional. 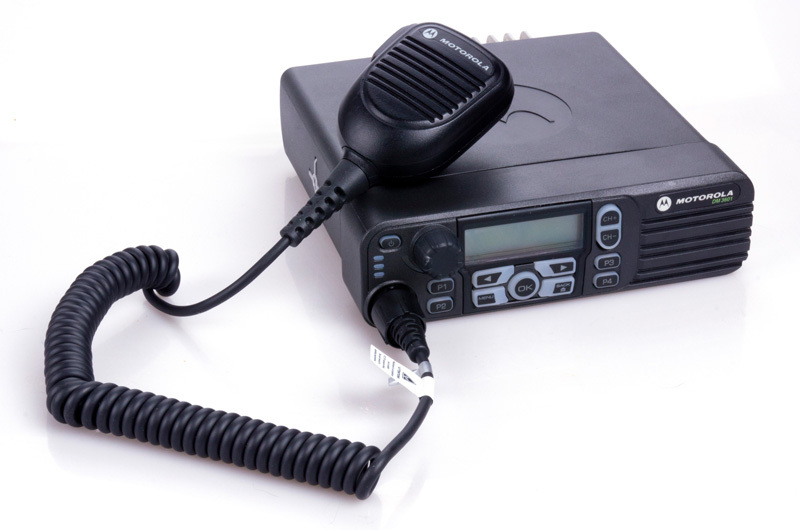 Two-way radio rental! The MOTOTRBO series DM3600 two-way radio is perfect for converting to a digital radio system because the device works in both the analogue and digital realms. It is available for VHF- and UHF-radio operation. Along with its 160 channels and versatile audio options, the compact DM3600 model also features a user-friendly interface with programmable buttons for quick access to functions. Like its fellow MOTOTRBO series models, the Motorola DM3600 offers a professional communications solution for virtually every field of application. Users can converse one-to-one or in groups. For example, security operatives can discreetly discuss an incident with their supervisors, without alerting other colleagues. You can use pre-set texts to request a private call. MOTOTRBO two-way radios like the DM3600 provide high-quality audio transmission, eliminating background noise and dropouts. The versatile audio options support IMPRES and USB functions. The device's powerful speaker faces forward, and its five programmable buttons were designed to be assigned to frequently used functions. The menu-driven interface is flexible and, of course, user-friendly, too. The rugged housing meets IP57 specifications, and it's watertight. The DM3600, a Motorola two-way radio, can be used in a variety of ways and can be individually customised by means of appropriate accessories. It is ideal for use in recreational facilities and shopping centres, as well as by the restaurant and hotel industries. But the DM3600 is also suitable for use in security and manufacturing, because it simplifies analogue-to-digital conversion, providing a reliable communications system. Want an example of the benefits of terrific battery power? These radios can be used continuously throughout an 11-hour business day, with no time-outs for charging. The DM3600 can be programmed to meet the needs of the user. At Radio-Rental.com, it's easy to rent the DM3600 at a great rate. When you rent digital two-way radios (including the DM3600, of course) and headsets with Radio-Rental.com, you get an unbeatable value that includes free delivery and our 24/7 support. We look forward to your rental inquiry, either by telephone at +49 30 29381970 or by e-mail at mail@Radio-Rental.com.